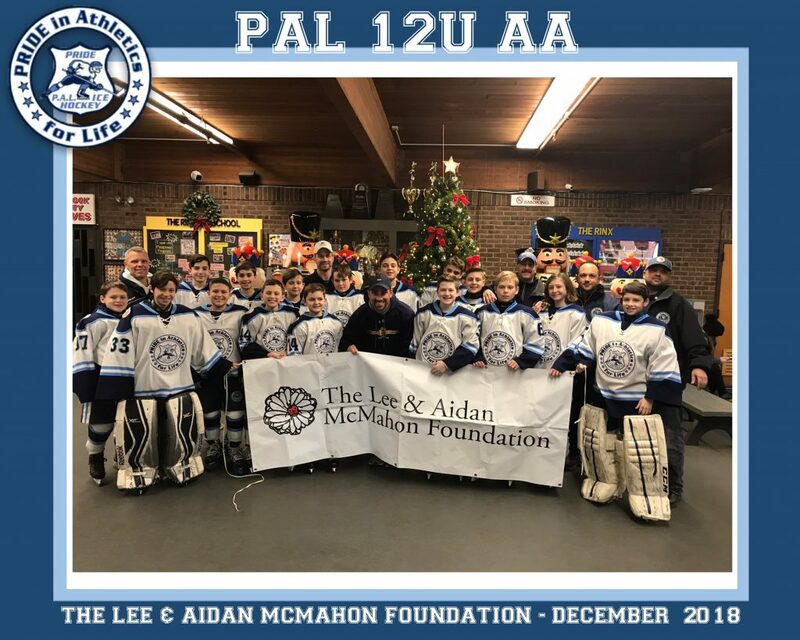 Our PAL PRIDE 12U AA players raised $1900.00 selling holiday wreaths to benefit the Lee & Aidan McMahon Foundation. The Lee & Aidan McMahon Foundation was founded by the McMahon brothers, Michael, Joseph and Thomas, in loving memory of their mother Lee McMahon, who passed away from brain cancer in 1999 and Aidan McMahon, beloved son of Joseph, who passed away in 2002 at 13 months of age from biliary atresia, and complications from liver disease. All money raised benefit the following charities, American Liver Foundation and Hospice Care Network. Great job to all the players and parents for a job well done!